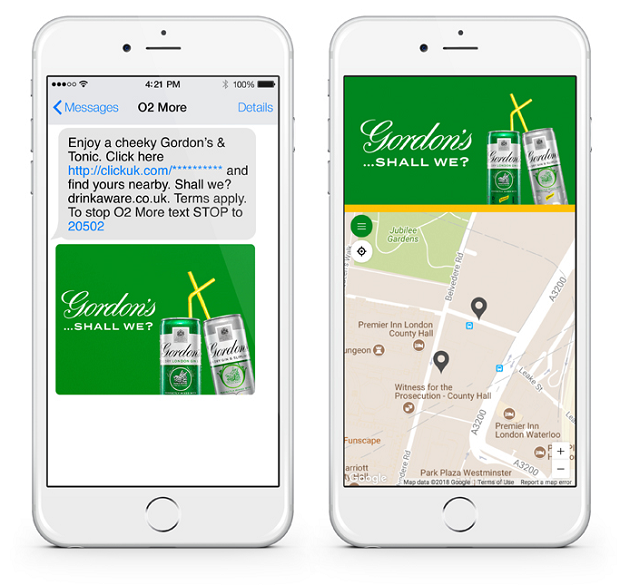 •	Message drove people to a personalised store locator to find the nearest Gordon’s stockist and pick up a can as quickly and conveniently as possible, alleviating their travel frustrations. The gin brand wanted to raise brand awareness and thus sales for its premixed G&T in the can. Working with Carat and O2’s mobile marketing arm, Weve, the brand decided to help alleviate the frustration of delayed commuters with a drink. The brand first identified those who were known travellers, aged 18 and over, and in the vicinity of rail stations. The firm made use of O2’s anonymised first party contract data as the base for the campaign, and were therefore able to guarantee with 100 per cent certainty that the message would be delivered to commuters aged over 18 – an integral component for an alcohol product. 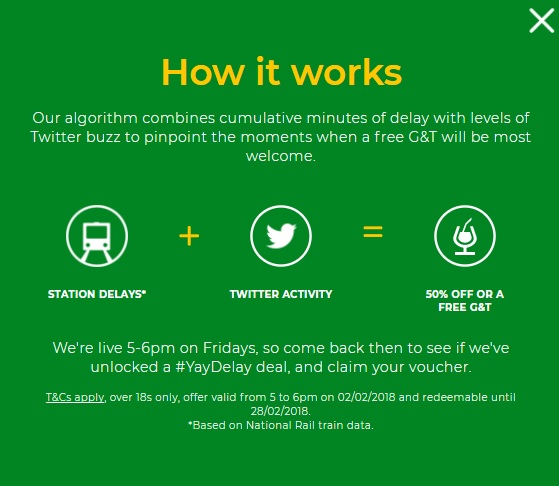 Then, live location data allowed the campaign to be triggered within a 200m radius of a rail station, and habitual data was overlaid to build an audience of known commuters who frequented specific railway stations for double verification. The frustration of train delays that was the critical point in the success of the campaign. Weve partnered with cross-channel customer engagement provider Engage Hub to integrate a live National Rail API into Weve’s messaging delivery platform, enabling message delivery to pre-qualified target consumers only when trains were delayed at their station. The message drove recipients to a personalised store locator to find the nearest Gordon’s stockist and pick up a can as quickly and conveniently as possible, alleviating their travel frustrations. 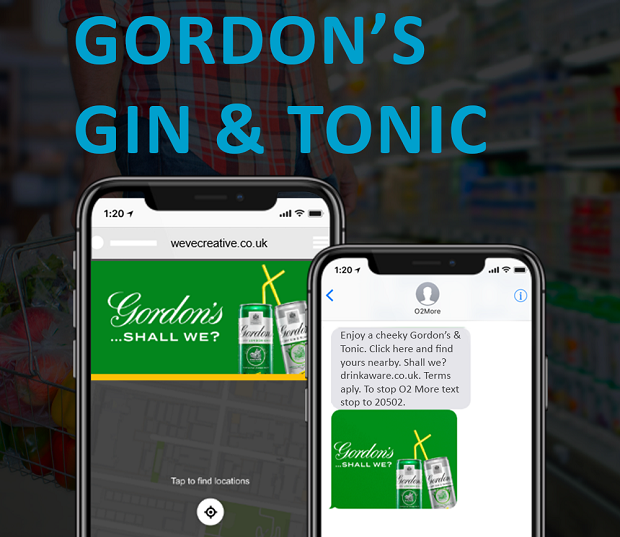 The results from the campaign speak for themselves: 21 per cent of targeted commuters purchased Gordon’s Gin & Tonic as a result of the campaign with Weve, 64 per cent of whom agreed they were more likely to do so because of where and when they received the message. The campaign also impacted future purchase intent, with those who recalled the message 60 per cent more likely to purchase from Gordon’s in the future. The campaign has been recognised with a number of awards, including “Most Effective FMCG/Retail Campaign” and “Most Effective Location Campaign” at our own Effective Mobile Marketing Awards last November.